Perfect for pass-through areas and buffet lines, or as a work shelf, the Hatco GRS-24-I-120-QS Glo-Ray® heated shelf uses a blanket-type element to provide even distribution of warm temperatures. A built-in, adjustable thermostat, accurately controls the temperatures across the holding surface. Fiberglass insulation keeps heat around the holding surface, and the top is made of heavy-duty stainless steel for quicker cleaning. 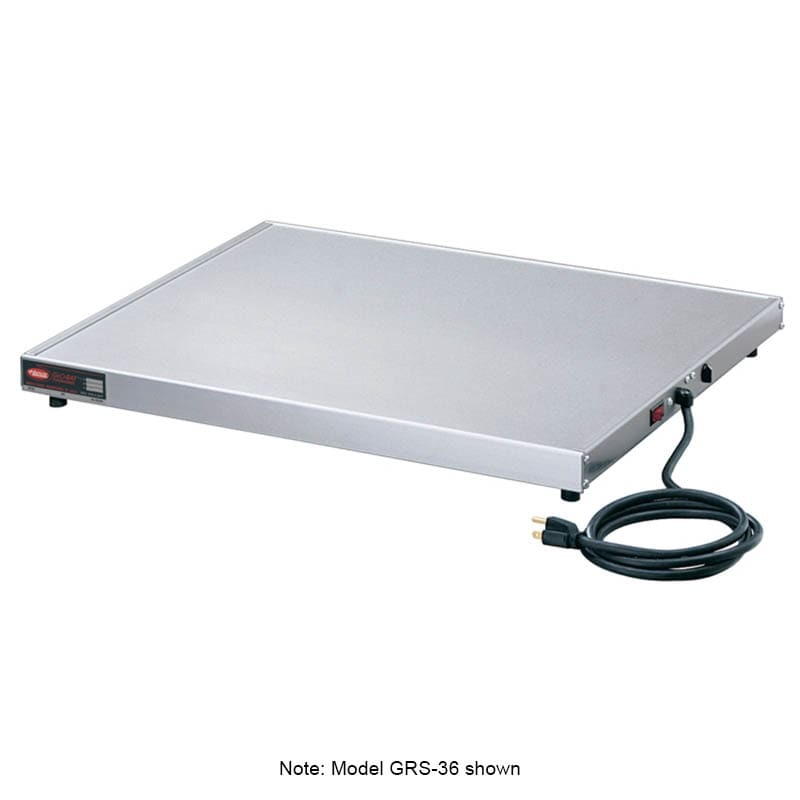 The base on this Hatco GRS-24-I-120-QS Glo-Ray heated shelf is constructed of extruded aluminum, so it withstands high-volume use.